Lets face it if you’re knowledge about dinosaurs is what you’ve learnt from the movie Jurassic Park then you’re missing a massive junk of interesting facts and details regarding a very important and interesting period of our planets history. Before we started this site we realised that for many people their familiarity with prehistoric reptiles extended as far as a handful of dinosaur names such as the Tyrannosaurus Rex, Brachiosaurus, Stegosaurus and maybe a few others. That level of knowledge is fine for some, but there were others who wanted to dig deeper into this subject but were unable to, due to it’s overall size and complexity. We acknowledged this problem and came up with our learning center which aims to offer an easy introduction and explanation into the core subjects surrounding the study of dinosaurs. Our hope is that the learning center will uncover the basic fundamentals allowing normal people to ease into the more detailed and often more exciting aspects of the dinosaur world. The subjects we think you need to cover and understand before you dig deeper into your dinosaur studies are listed below. Simply work your way through each topic making sure you understand them well enough to be able to teach others. If you can do that then you’re more than qualified to start on the more detailed subject areas and really advance your learning. This section will introduce you to when, where and how long ago the Dinosaurs existed. Some basic references to different types of dinosaurs as well as the condition of the planet during the three dinosaur periods is covered. This section gets a little technical but its also an eye opener into the various types of reptiles that existed at the time of the dinosaurs. So many reptiles that weren’t actually dinosaurs get called dinosaurs, its a massive misconception and the movies dont make things any better. You will learn not only about dinosaurs but pterosaurs, plesiosaurs and afew other non dinosaur groups. You’ll feel pretty clever after you finish this section. This section builds on the timeline and again clarifies some of the theories and events that possibly happened and lead to the extinction of the dinosaurs. 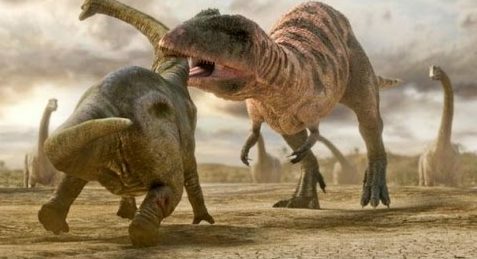 Remember the dinosaurs didn’t all become extinct at the same time, there were many extinctions happening throughout the Mezosoic era which meant that many of the dinosaurs we commonly know of didnt even exist at the same time. This section covers the modern aspects of dinosaur study, palaeontology and how we learn and uncover the secrets behind this now extinct world. Its not necessarily the coolest section but don’t skip it as it does tie up many of the other sections and of course help you appreciate and understand the rest of the articles on the site.